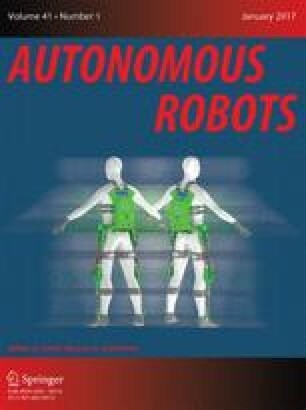 If we are to build human-like robots that can interact naturally with people, our robots must know not only about the properties of objects but also the properties of animate agents in the world. One of the fundamental social skills for humans is the attribution of beliefs, goals, and desires to other people. This set of skills has often been called a “theory of mind.” This paper presents the theories of Leslie (1994) and Baron-Cohen (1995) on the development of theory of mind in human children and discusses the potential application of both of these theories to building robots with similar capabilities. Initial implementation details and basic skills (such as finding faces and eyes and distinguishing animate from inanimate stimuli) are introduced. I further speculate on the usefulness of a robotic implementation in evaluating and comparing these two models.